Keep the hanger at bay. Oats and fruit are packed full of filling fibre. When you think of fibre, you probably envisage wrinkly prunes and those awful fibre supplement drinks that taste like cardboard. 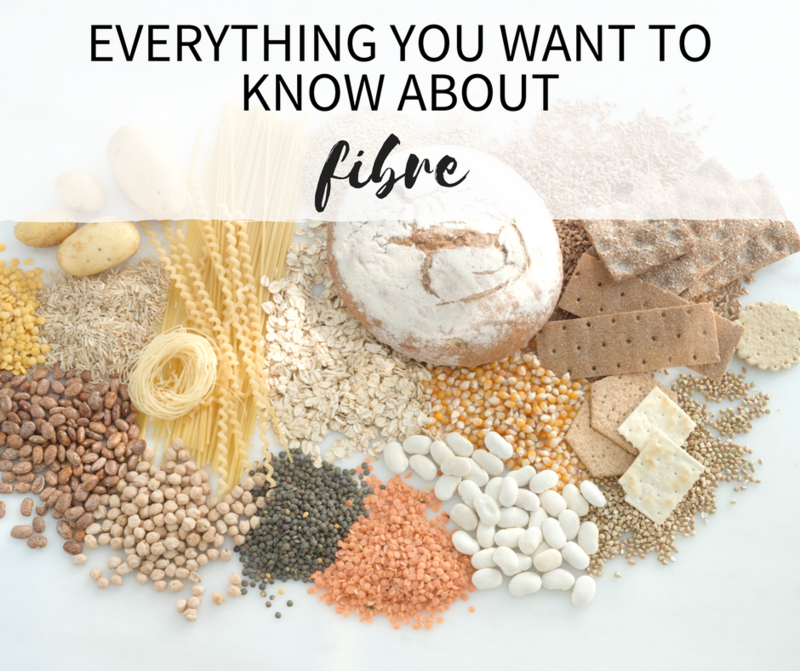 But fibre is in many delicious different whole foods, and plays an incredibly important role in our gut and overall health, as well as how full (or hungry) we feel after eating. Yep, it's happened to us all: we sit down to a tasty meal and one hour later we are ravenous again. The key to filling meals is fibre, but what does this really mean? How does fibre keep us full for hours, and how can we include it in our meals and snacks? 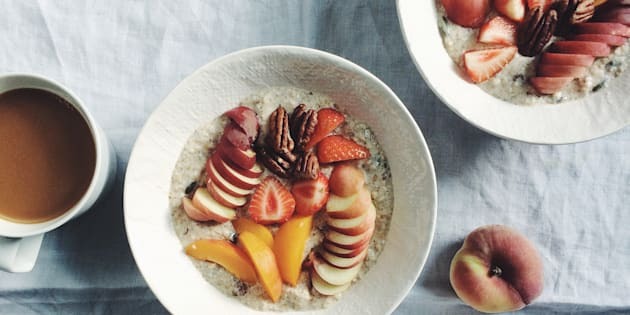 To get the lowdown on all things fibre and feeling full, The Huffington Post Australia spoke to Gabrielle Maston, accredited practising dietitian and spokesperson for the Dietitians Association of Australia. 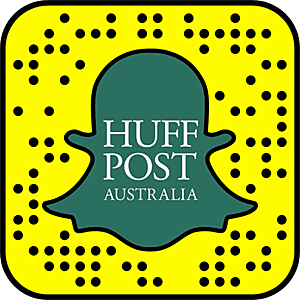 "Fibre is the indigestible part of plants, which passes through the intestine, partly fermenting in the gut and is later excreted as faeces," Maston told HuffPost Australila. "Fibre is an essential part of our diet because it keeps the bowel regular and provides food for the good bacteria in the gut." Fibre doesn't just help our digestion and gut health, however. Long term, low fibre intakes have been associated with type 2 diabetes, cholesterol, heart disease, bowel cancer and metabolic syndrome. "Fibre has many practical benefits to health. It's a great way to feel full so you don't overeat. It can help lower cholesterol by 'mopping up' excess cholesterol from the blood to excrete it out of the body. It also lowers the glycaemic index of food you consume so you minimise blood sugar spikes," Maston said. When we don't have enough fibre in our diets, we tend to experience constipation. In the long term, however, low fibre intake also increases the risk of many lifestyle diseases. "On average, Aussies are only having around 22 grams of fibre each day, when the current Australian Dietary Guidelines recommend, at a minimum, 30 grams per day. It's a shame because high fibre foods taste great," Maston said. "Long term, low fibre intakes have been associated with type 2 diabetes, cholesterol, heart disease, bowel cancer and metabolic syndrome." Eating lots of veggies and whole grains help keep your gut healthy and your bowel movements regular. When we eat a meal that is low in fibre, it doesn't take our bodies long to break down the food, meaning we can feel hungry soon after eating. "Fibre has the ability to keep you full because it swells in the digestive system with fluid," Maston explained. "The fermentation of the fibre in the gut also causes a degree of gas to be produced that presses on the stomach walls to make you feel full. Normal levels of gas production, even though it can be socially awkward, is a sign that you have a healthy gut." Because fibre is very difficult for the body to digest, it slows down the digestion process. "This means you will have food sitting in the digestive system for longer, creating feelings of fullness after every meal." 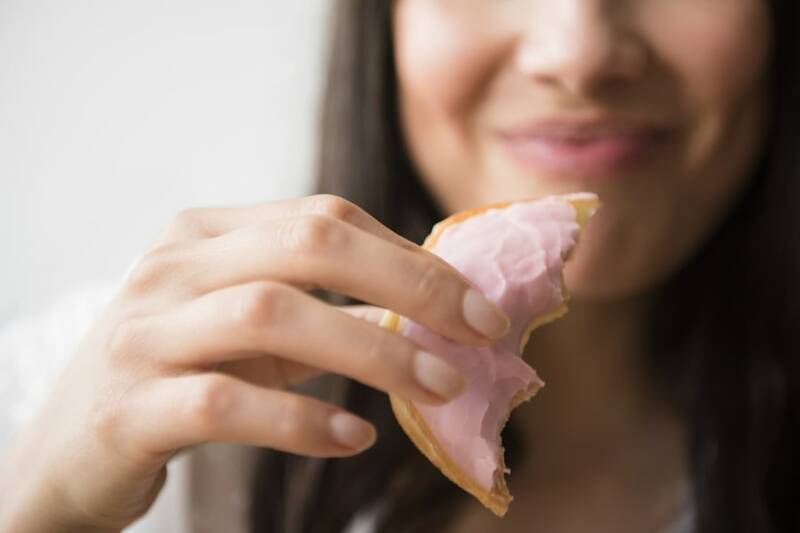 One reason why doughnuts don't keep us full is because they're low in fibre, so we're more likely to reach for more. 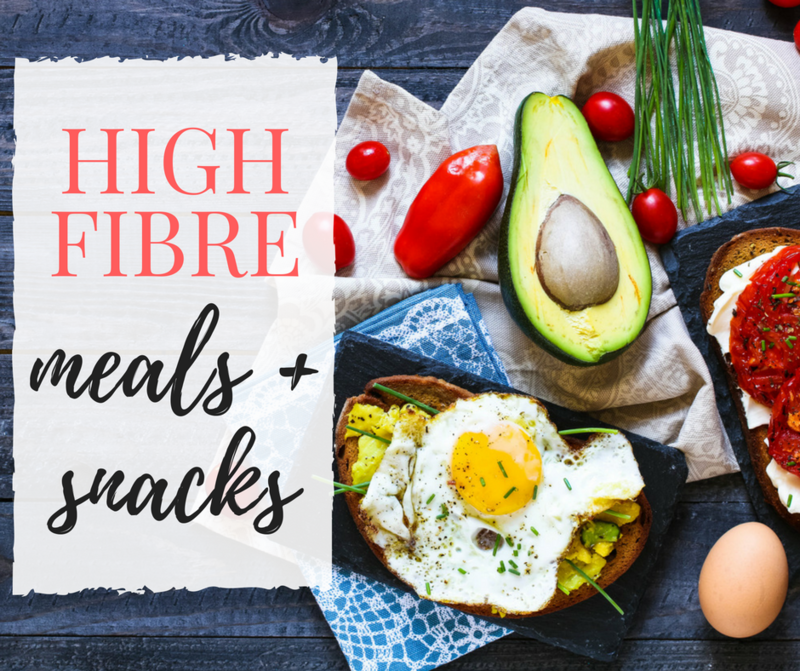 High fibre foods have many health benefits, not only because of the fibre content but because they're usually packed into micronutrient dense foods. "There are three types of fibre that you must consume for good bowel function: insoluble and soluble fibre, and resistant starch," Maston told HuffPost Australia. "High insoluble and soluble fibre is easy to add to the diet. 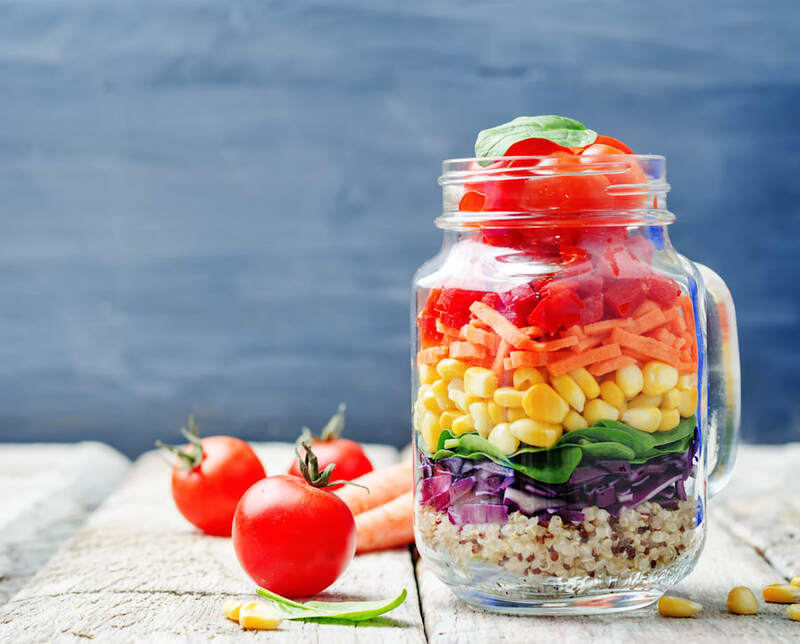 You may want to include whole grain crackers, whole grain bread, fruit, vegetables, quinoa, pasta, baked beans, lentils, chickpeas, oats, nuts and seeds." Resistant starch, however, is harder to come by. "Resistant starch is starch naturally found in food that is resistant to digestion. When resistant starch travels undigested to the large intestine it is processed by 'good' bacteria," Maston said. "Foods rich in resistant starch include under ripe bananas, cooked potato and rice that has been cooled, firm cooked pasta, legumes and beans." Low fibre foods, on the other hand, include: white bread, white rice, pastries made with refined flour, refined cereals, fruit juices without pulp and processed snacks. 1. Oats with milk, sprinkled with flaked almonds and strawberries. 2. Banana smoothie: skim milk, banana, 1 tbsp psyllium husk, 1 tbsp Greek yogurt. 3. Two eggs with avocado and baby spinach on whole grain toast. 1. Quinoa, pumpkin, baby spinach and pine nut salad with grilled chicken. 2. Tuna with chickpeas on a bed of leaf green salad. 3. Wholemeal wrap with avocado, mixed lead and smoked salmon. 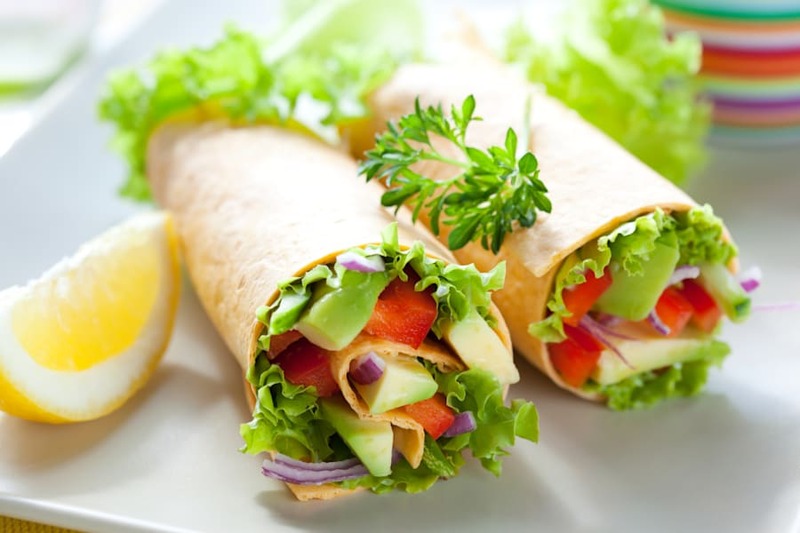 Fill your whole grain wraps with lots of veggies. 1. Roast lamb with oven roasted sweet potato, pumpkin, zucchini and green beans. 2. Stir fry with mixed Asian greens and tofu on a bed of wild rice. 3. Couscous and pumpkin salad topped with grilled salmon and rocket. 1. Handful of mixed raw unsalted nuts. 2. Handful of roasted chickpeas. 3. Chopped vegetable sticks with hummus. 4. Wholegrain crackers with avocado and tuna.